Dr. Richard J. Ward earned a Bachelor of Arts in Biology from Franklin Pierce College and received his Doctor of Chiropractic degree from Life University. 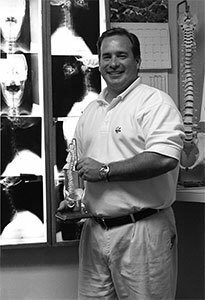 Dr. Ward is licensed by the state of New Hampshire and maintains a private practice in Chiropractic in Merrimack, NH. A-Ward Straight Chiropractic is a member of the Merrimack Chamber of Commerce. Dr. Ward is a member of the International Chiropractors Association, the New Hampshire State Chiropractic Society, and the New Hampshire Chiropractic Association.